I don’t remember how it started, exactly. The only thing I do remember is that from the age of eight until about fourteen (oh who am I kidding, I still get this way sometimes) I was always obsessing over something. From Archie comic books to Dairy Queen Blizzards, whatever I was interested in, I was really interested in. By the time I was ten years old my love of New Kids on the Block had perished, I’d read every “Babysitters’ Club” book before Ann M. Martin could finish the next one and my parents wouldn’t let me have a Nintendo like everyone else. I needed a new obsession and I needed it fast. The first time I heard “(Everything I Do) I Do It For You” I thought it was the most beautiful song my young ears had ever heard. I soon learned that the gentleman responsible for this masterpiece was Bryan Adams. Bryan quickly became my new obsession. Within months I owned every cassette tape and he was constantly on my Walkman (yeah, I’m pretty much elderly). In 1992, I learned he was coming to the Tacoma Dome. I begged my parents to take me until my dad finally caved, got two tickets to the show and a room at the Best Western, and drove me over the pass. The tour was Waking Up the World after the release of Waking up the Neighbors. It certainly woke up my passion for concerts and intensified my Bryan Adams adoration. There’s nothing quite like the high of seeing your favorite performer sing your favorite songs live, the energy of the crowd resonating and intensifying the excitement. Perhaps 10 years old was too young for the first taste of the rush, but I was hooked. Soon, Bryan Adams concerts became family outings. We saw him as a family at the Columbia Gorge, my five year old brother infamously passing out from exhaustion in the front row mid-ballad. We saw him in the Tri Cities after he was having so much fun on the Waking Up the World Tour, he extended it. 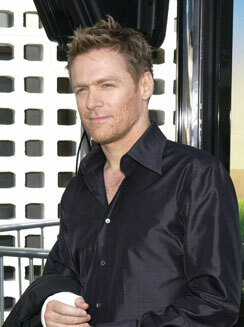 Eventually Bryan Adams faded from the limelight like most 90s band did, though he still recorded hits. Unlike my other obsessions, my love for Bryan Adams never quite faded. I have the same issue with Blizzards, but that’s another story. I mean, you have to respect an artist who has 15 Grammy nominations and five Golden Globe Nominations, amidst dozens of other awards, is famous for his concert tours being highly energetic and often sold out (Waking up the World is considered the greatest Stadium Rock tour of all time), and is known for his incredible photography and philanthropic causes. The man has rocked duets with Tina Turner, Pamela Anderson, Bonnie Raitt and Barbara Streisand, just to name a new (not to mention his killer vocals with Rod Stewart and Sting in “All for Love”). People ridicule my love of this man (I was born in the 80s, after all, shouldn’t I have been more into pop bands of the mid-90s?) and even I joke about my “rock star” status. But anyone who could travel back in time and actually attend one of those concerts in the 90s would know he was, and is, a total rock star. He set the bar so high for concerts; every show I attended for years afterward was a disappointment. It isn’t their fault, really. He’s just that good. He sings every single song he can cram into three hours, engages with the audience, and genuinely looks like he’s having a good time performing. Leaving a Bryan Adams concert is almost as fun as actually being there because everyone is laughing and singing and having a good time. I don’t care who you are or what kind of music you like, if you ridicule this kind of experience, you’re a douche bag, plain and simple. In addition, Bryan Adams songs have found their way into the soundtrack of my life. On one of my first dates with Mr. W we blasted “Summer of 69” driving through Yakima in his old truck. Just like I decided at ten years old, “(Everything I Do) I Do It For You” was performed at my wedding, my bridesmaids and I breaking out into the final verse of the song mere moments before I walked down the aisle. I’ll spare you the specifics, but let’s just say “Heaven” holds a rather special place in my heart as well. When I’m on long car trips and can’t get a radio station, I still occasionally put in my So Far, So Good CD and sing my heart out. These days I love pretty much every kind of music out there. 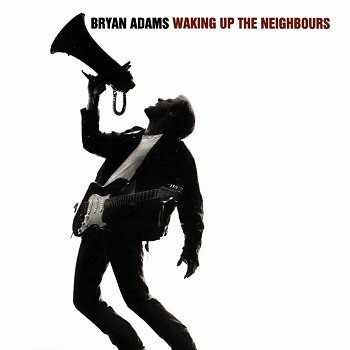 This has not diminished my love of Bryan Adams in the least. Last August, I was given 24 hours’ notice that Bryan was coming to Spokane. Impulsively I purchased two tickets and the next night my friend “Ann” and I were sitting about ten rows back at a local concert venue. There was no band, no fanfare, no stadium, no excess anything. It was just going to be Bryan Adams, his guitar, and a back up guitar player. The tour was called Bare Bones. Just before Bryan made his appearance, I panicked. What if this tour was some kind of last-ditch effort by an artist past his prime to hold onto his fame and make some money? He’d toured for so long. What if he was tired, over it, and just wanting to retire already? Of course, I couldn’t have been more wrong. Bryan came out with a grin on his face and a guitar in his hands and he rocked every song without a trace of boredom and every shred of talent he’d had decades before. I was transported to the past as I sang along with him and got to hear some of the stories behind his songs… for example, that “Heaven” was written for the movie A Night in Heaven about a male stripper who seduces his female college professor. Awesome! After the concert Ann and I split a bottle of wine and stumbled all over downtown Spokane trying to find Bryan to express our enjoyment of his performance. No such luck. Probably for the best. I have always loved Bryan Adams, too! Sadly, I've never seen him live, but I love his music and have seen and read several interviews with him and he seems like such a genuine, kind man who loves to perform for his fans. Sounds like you've had some awesome Bryan Adams experiences! Hey Jess, Bryan Adams does have amazing songs that I too catch myself singing loud to. Summer of '69 is the song I dedicated to my parents for their 25th anniversary, so okay, they met in the summer of 70 - but - anyway that song sends shivers in my body - I can think of any summer in my life to make that song relate. He's got a ton of good songs. My favorite singer since childhood has been Madonna, no joke. I love how Bryan Adams has played such a huge role in your life from your pre-teen years, to family vacas, and memories with Mr. W. Maybe someday you will actually get to meet him and then I think your life would be complete :) I have never seen him live but adore "Summer of 69" and "Heaven" makes me cry every time. I'm almost ashamed to admit I never knew what he looked like until I saw the pic of him in your post...he's such a cutie!! !